Four women who were in relationships with New York Attorney General Eric Schneiderman say he hit, slapped and strangled them. Four women who have been romantically involved with New York Attorney GeneralEric Schneiderman(D) have come forward with accusations that he physically abused them, according to accounts published byThe New Yorkeron Monday. Late Monday, just hours after the report came out, Schneiderman resigned. The women who spoke to The New Yorker said they were motivated to share their stories after witnessing Schneiderman become a vocal advocate against sexual misconduct during the rise of theMe Toomovement in recent months. His efforts to combat abuse, including by filing a civil rights lawsuit against disgraced film mogulHarvey Weinstein, have received wide praise from women’s organizations. Schneiderman’s relationships with Manning Barish and Tanya Selvaratnam reportedly occurred between 2013 and 2017. The New Yorker also vetted similar accounts from two other women who chose to remain unidentified. Manning Barish accused Schneiderman of being emotionally abusive, describing his attempts to control her body by demanding she remove a tattoo and lose weight. Selvaratnam described similar interactions, calling Schneiderman “a misogynist and a sexual sadist.” Like Manning Barish, she said he had choked her. She also alleged that his violence became worse after President Donald Trump won the presidency because Schneiderman was angry he wouldn’t have a chance at a role in the White House. Selvaratnam, who wasborn in Sri Lanka, said Schneiderman would sometimes request she call him “Master” and slap her until she did. “He started calling me his ‘brown slave’ and demanding that I repeat that I was ‘his property,’” she told The New Yorker. Schneiderman was a state senatorfrom 1998 to 2010 and has built a reputation asa champion of women. He notably advanced legislation to protect women from domestic abuse, including sponsoring the Anti-Strangulation Act in 2010. Weeks ahead of The New Yorker’s bombshell report, Schneiderman tweeted his accolades to the outlet and The New York Times for their Pulitzer Prize-winning reports on sexual misconduct in Hollywood, politics, media and tech. Over the last year or so, the New York attorney general hasrepeatedly opposed President Donald Trump, with his office reportedlyfiling at least 100 legal or administrative actions against the Trumpadministration ― from challenging the travel bans tosuing to protect women’s accessto birth control. 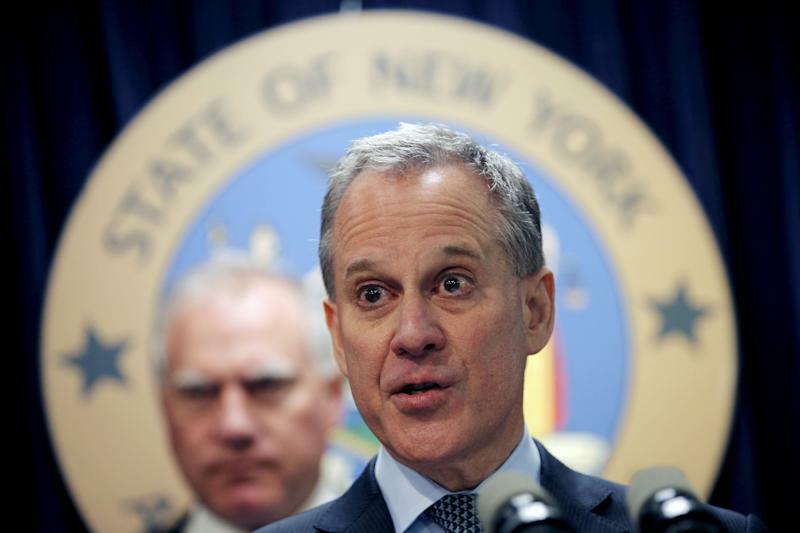 This story has been updated with news of Schneiderman’s resignation.